You’ll always get more than you expect from working with Willow. It starts by nurturing talent and passion in a culture that values resourcefulness and versatility. We’re humble, but we also don’t mind bragging a bit about our people. Because our people are your people. And what’s good for Willow is good for you. 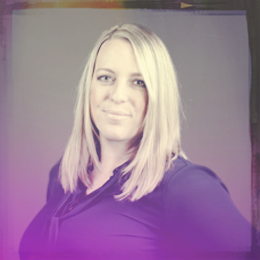 This month, we shine the spotlight on Erin Green, our Creative Operations Manager. Erin’s story is as unique as it is inspiring. She started her career at Willow as a designer, working on catalogs to events and everything in between. The thing is, her talents extend far beyond her graphic design skill, and that became evident right away. She’s also extremely organized and process oriented, a rare quality for a right-brainer. Even in her early days as a designer, she was a champion of project management and internal communication. Her ability to schedule tasks and hit deadlines, all while doing a marvelous job of keeping the account team informed, radiated a positive ripple effect on everyone else. Her work produced great results, and inspired confidence and trust from the rest of the team, making their work better, too. These days, she basically runs the show, scheduling everyone in creative and digital, always with a focus on efficiency. She understands the specifics about every project in the shop, so she’s got a handle on both the small details and the big picture. You might say Erin is the ultimate negotiator, constantly working to communicate between our client services team and the creative & digital teams. The art of negotiation is in knowing the personalities of each individual, their communication preferences, and how to motivate them. And Erin has it down to a science! Oh, and she’s still an awesome designer, too. Although she spends most of her time making sure everyone else has a free and clear path to crafting compelling creative for our clients, she can still tap into her own creative reserves at the drop of a hat, and often does when the situation demands it. We hire open, humble, and helpful people because they love to learn and grow. Instead of focusing on what they want to do next, they find ways to do better. That is exactly the kind of dedication and versatility that makes Erin true Willow material. Now, you may be thinking, “That’s all well and good for Erin, and for Willow, but how does that help me?” We don’t blame you. It’s a valid question. And one we’re always thrilled to answer. Erin may be a youthful talent who’s just beginning to hit her stride, but she’s very wise in advertising years. She knows from experience what works and what doesn’t, and deftly steers around potential pitfalls before they happen. But where she shines is making good situations even better. She removes all barriers to progress and makes sure our creative team has everything they need to excel at what they do best. And that’s great news for you. It means projects get done right, on time, and on budget. Erin doesn’t just do great things for us, she makes great things happen for you. Our people are your people, and that’s something we can both brag about.